Any home on the market today absolutely must have curb appeal. If it doesn’t, its owners may be in for a lot of drive-by viewings. However, getting people to stop for a better look is just the first step. The next is even more significant. They have to get out of the car; but if the yard is unattractive, they may not even go that far. Indeed, the landscape of a house can make all the difference in potential buyers’ decisions about whether or not to take those first steps, and then, to continue to the front door, for the full tour. The problem is that there are so many aspects of it to consider, that it’s difficult to get everything right. Sometimes, home sellers are so wrapped up in getting the insides of their homes show-ready, that they don’t give the exteriors all of the attention that they need. Certainly, they’ll cut the grass, prune the hedges, and weed the garden beds; but it takes a lot more than a lush, well-kept lawn, neatly trimmed shrubbery, and beautiful flowers, to entice people to explore further. Of course, they want to see a place that’s charming, inviting, and picturesque; and they want to be able to put themselves into that picture, living the good life. 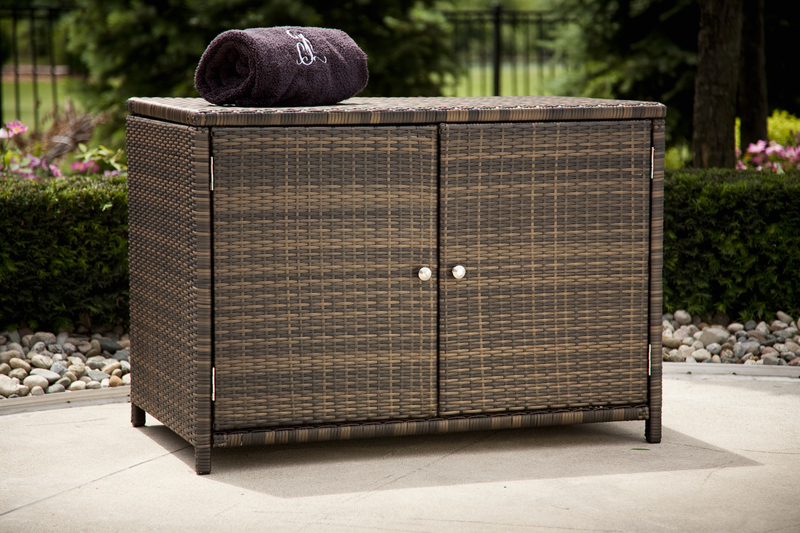 Outdoor furniture can contribute greatly, in that regard. 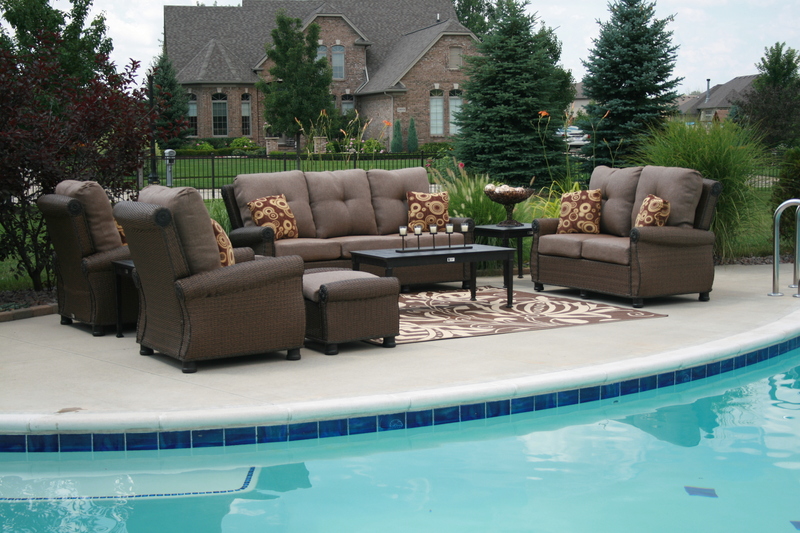 Chaise Lounges, outdoor sofas, dining sets, and day beds can really make a house look warm and welcoming. Other outdoor decor items can influence people as well. A simple rolling tea cart, attractive storage cabinet or a high-end patio heater can add style and curb appeal to any outdoor living space. It’s best to let the interested parties admire your space at their leisure. Designing an attractive outdoor living space can be tedious but yet fun all at the same time. 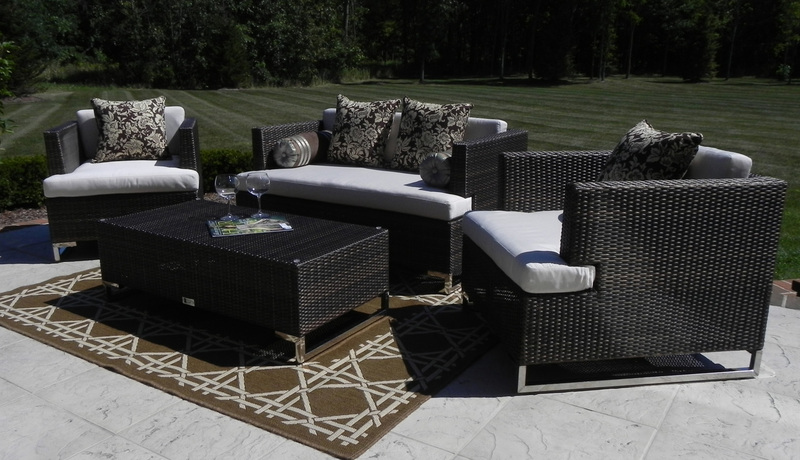 Choose a brand or style that fits your needs and your budget, most outdoor furniture companies will have something for everyone. If you find yourself at odds with so many choices, pick a company that can walk you through the design process, explain the materials and development of their products and make sure they understand your desires and will provide you with years of uncompromised customer service.